Rent College Pads works hard to help college students at Colorado State University find the best off-campus housing options near Colorado State University. Whether you are looking for houses for rent or an apartment near Colorado State University, Rent College Pads is your number one resource for Colorado State University off-campus student housing. Finding apartments at Colorado State University has always been a chore. At Rent College Pads we are fixing that. All of our off-campus housing options have been verified and approved by our diligent team of campus managers. We even follow up with you and the landlord to make sure you have found your perfect house. Because there are so many options to consider before making a responsible renting decision, check out our Colorado State University University apartment hunting guide below. The ideal time to start searching for off-campus housing is in October but worry not, because you can still start your search in December and beat the crowds. The peak number of students search in January and February. Therefore, starting your search before New Year’s is ideal in avoiding all of those other pesky applicants and find the house that is the best fit for you. One word. Roommates. You’re either one of two people: someone who has had a decent experience with their roommates or you’re someone who shudders at this very word. Let’s face it, no one really wants to have a roommate, but having them is necessary to save money. Therefore, I’ve included a chart below that depicts the average price per bedroom in Fort Collins, so you can figure out what you can afford, and what you might have to settle on having a roommate for. By far the cheapest option is to share a space with 3 other people; this knocks the average price per room down to $403. The next cheapest alternative would be to share a home with 2 others for an average of $557 per person. However, if you have the money to spend on having a home to yourself, these spaces generally come with an impressive list of amenities, community, and social features. Fortunately for Fort Collins residents, there’s no lack of amazing dining options around town! We normally don’t include such a large number of restaurants, but we felt it necessary in this case. The eateries here are so diverse that there’s surely something for everyone’s taste buds. Whether you’re looking for Cajun, Greek, or vegetarian restaurants, Fort Collins has it all! Not everything fun needs to be expensive – these activities are our proof. With a variety of botanical gardens, reservoirs, and trails, these activities allow students to explore beyond their “newest additions” Netflix queues and experience the natural gems of Fort Collins. West Central is where Colorado State University is located, and is, as you might have guessed, west of the campus. The area as a whole is comprised of several different smaller neighborhoods and subdivisions like Fairview, Village West, Avery Park, just to name a few. To try and make this less complicated, these smaller neighborhoods make up West Central, and West Central is a part of Central Fort Collins (okay, so maybe it’s a little complicated). Since CSU is right here, this area has a gained wide variety of housing as the years went by. Here, there are tons of ranch-style houses, bi-level, and tri-level complexes, mixed in with luxury student housing apartments. Shopping and errands are made easy at Drake Crossing, Cedarwood, and Raintree Village. Students are also really close to all the main shops on College Avenue. If you looked on a map, Central Fort Collins would be smack dab in the middle of the city (makes sense being titled central). 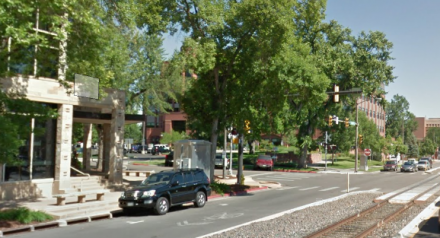 Cental is the heart of Old Town, the area surrounding Fort Collins’ downtown, and all that surrounds Colorado State University. From older bungalows, smaller rental units, and larger apartment complexes this area has a great mix of different types of home, while also bringing a variety of different lifestyles and environments. There are several major shopping centers throughout this area like The Square and the Foothills Fashion Mall. You’ll also be in walking distance to restaurants, banks, and virtually anything you need. 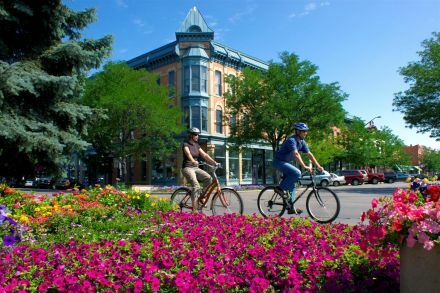 Fort Collins is a big biking city. So much, in fact, it has been said that everyone there owns at least one bike (I know, pushing it a little bit, but you get the idea). Since CSU is one of the most bicycle-friendly campuses, there are numerous biking trails that can lead you all around the city. If you come car-less, try and look for a place near the bus routes because those Colorado winters are brutal! 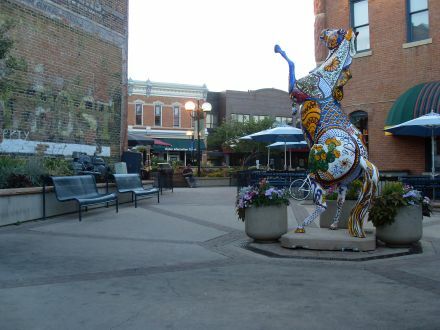 Here are some neighborhoods that help to make up Central Fort Collins. If you’ve ever been to Disneyland, Main Street USA was actually modeled after Old Town Fort Collins. The streets are lined with cozy cafes, boutiques, candy stores, and antique shops. Being a college town, the nightlife scene is buzzing with live entertainment, art galleries, and more than 84 bars and restaurants to choose from. There are more than 10 microbrewers, making Fort Collins the city with the most breweries per capita in the state. If you’re into beer (which is practically a requirement to live here) make sure you hit up Colorado Brewers’ Festival, this event takes place every June for two days. To note, Old Town isn’t technically a specific neighborhood but is more of a general term used to describe downtown and the surrounding area. Old Town and Downtown have a lot of loft-style apartments, condos, and townhomes to choose from. The closer you get to CSU the older the homes are, and it's much more of an urban tone. Houses are generally your traditional one and two-story places with a tree covered yards. With tons of public transportation getting around is a breeze. From Old Town alone you have access to the Mason Trail, Poudre Trail, and Spring Creek Trail for biking. 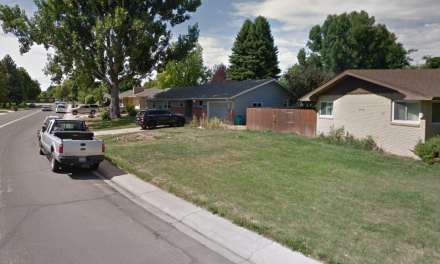 Just east of the Colorado State University campus is the University Acres neighborhood. Historically, this land was once owned by CSU for agricultural research and later sold for real estate development in the 1950s.Today, the land is covered with houses and lush landscape. Living in University Acres you get the convenience of living in Old Town but at a lower price. Both Downtown and the CSU campus are minutes away on a bike making this a great choice for off-campus living. Nearby, you’ll have easy access to the 65-acre Edora Park where you can utilize the baseball fields, basketball court, skate park, tennis courts, and the Edora Pool Ice Center (EPIC). Here, you can also take the Spring Creek Trail throughout different areas of Fort Collins.